Zolita’s is nestled in the heart of Hillcrest and was established in 2006. We are trained professionals in the art of cake decorating and catering and we strive to deliver a high quality product every time. We know the finer details and densities of different cakes and specialised support structures, ensuring that each cake arrives at its destination in the condition in which it left our store. We enjoy working on special commissions for corporates and weddings however, we do have semi customised cakes that meet the needs of most clients. Each of our cakes is made from scratch without the use of preservatives or chemical additives, which means that our clients enjoy a fresh, naturally moist cake. Anything less than this would fail to achieve the singularly decadent cakes that our clients have found themselves coming back for year after year. Only the highest quality ingredients such as buttercream, chocolate ganache, Belgian chocolate and fresh fruit is used in the creation of our cakes. We offer complimentary tastings for events and gatherings with a guest count of 75 people and over where we provide an offering of what is being produced in store on that day. We are a bespoke cake shop and our tastings are to guarantee of our quality rather than to compare the taste between flavours. Even if we do not have the specific flavour you are interested in, this is an informal way for you to taste the quality of our cakes first hand. 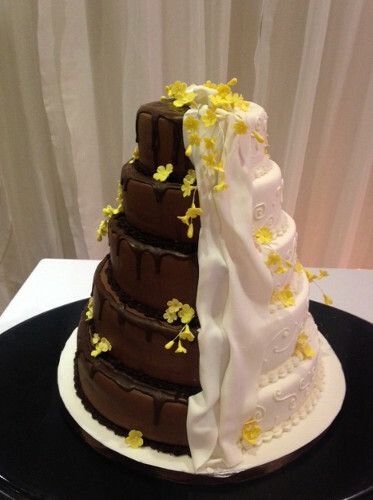 Because every one of our cakes is custom designed, pricing is highly variable. The final cost is determined by the number of slices as well as the labour hours involved in executing a given design. Zolita’s also makes beautiful candy bars to wow your guests and keep them coming back for more. Whether large or small do not hesitate to contact us with your cake enquiries.